I have three boxes of punches, they will all be in our 75% part of the room. This is a huge saving as punches are quite expense. A $20.00 Punch after the discount will be $5. 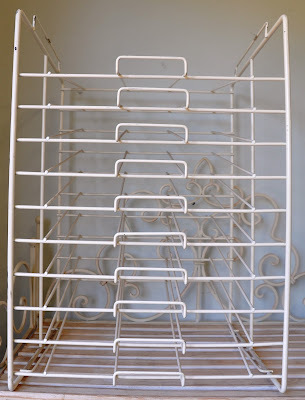 The other thing we are planning on selling are our spare paper racks, we have about 50 more than we need. 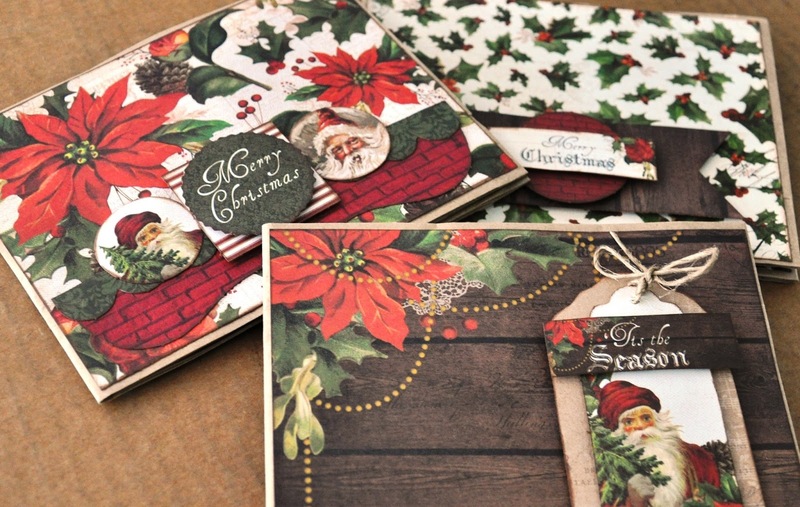 They will be $20 each, and are great for storing your papers/cardstock in. They also stack up, 2-3 high is perfect. You will need to ring us before the sale day so we can arrange to bring them with us. 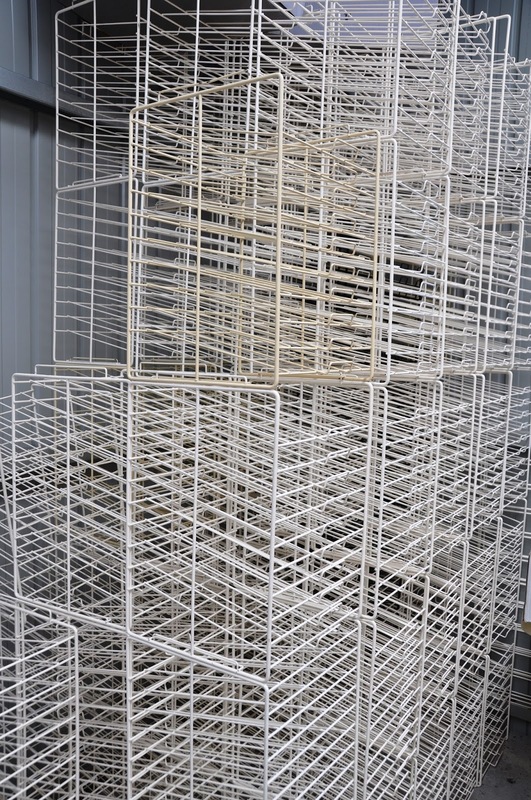 Each stand has 10 slots for the papers to fit in. I have included a photo of the stands I have for storing my bazzill cardstocks in. If you have any questions, then please ring me on the shop number 82771298 or my mobile number 0416053688. Look forward to seeing you all on Friday or Saturday. Today I want to show you some of the great stamps we will have in our Sale. I have a huge box of all kinds of stamps, Graphic 45, Stampers Anonymous, Dark Room Door, Magnolia, Maya Road, Kaisercraft, Inkadinkadoo and much much more. With 75% off these are a great buy. As a guide - Stamps priced at $20.00 after discount will be $5. There are lots of vintage wood block stamps, Image Stamps, even some beautiful K&Company sets. Along with some word stamps, and some suitable for Project life and card making. A heap of acrylic and red rubber stamps as well and a big selection of older and hard to find Graphic 45 stamps. 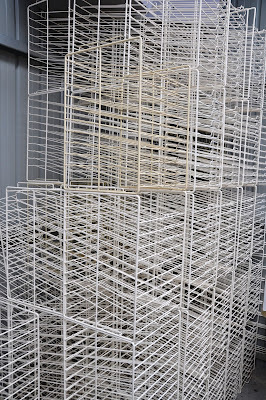 I did think of tipping the crate into my bath to show you how many I have, but the box is packed very tightly and to repack them would take too long. I chose every stamp in the box so they are all very special. I also have a tub full of 30% off stamps as well. So there is lots to choose from. We are holding our biggest Sale ever. 5th and 6th of January 2018. 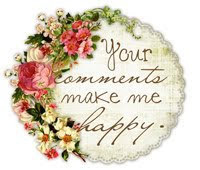 We have been sorting out boxes and boxes of beautiful Scrapbooking supplies. 1000's of sheet of Papers from all the big brands. 100's of stamps and Dies. Boxes and Boxes of Embellishments, giftware, signs and so much more. But not only will we have all our clearance items listed above there with the 75% off. this is all our Lindys, Prima, Ranger, Tim Holtz, Memory Box, Trimmers, Mixed Media Products, Graphic 45, Imaginarium Designs, Maja, Pion, Albums, Stamps, Authentic, Simple Stories, Carta Bella, 49 Market, Echo Park, 3L Adhesives, Prima, Memento, and much much more. The sale is for 2 days only. Our Pop Up Shop will open from 9am - 5pm. 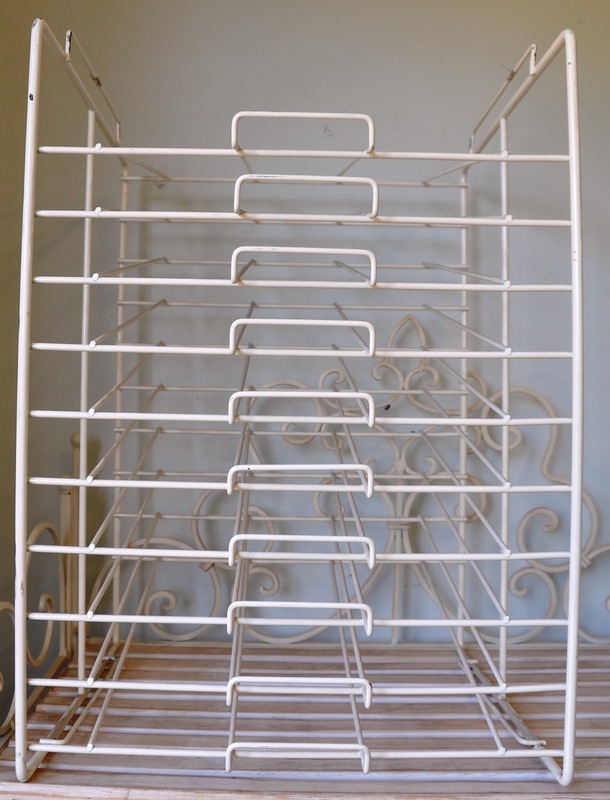 We will also be selling our Paper Racks for $20 each. You will need to ring 0416053688 and pre-order them before the sale days, so we know how many to bring. Each day I am going to share photos of the stock we to sell. Today I am going to share images of all the beautiful ribbons we will have with a discount of 75% off. You will need to purchase it in metre amounts. So this is my dinning room tape which seats 14 people. The ribbons completely cover it, but I still have another 2 trestle tables set up in my lounge full of boxes of ribbons as well. A box of swirly organza ribbon. Then there are all my beautiful print ribbons. I have 3 boxes of these. This table is all my specialty ribbons, Prima, Webster's, Maya Road and more. A Basket of ribbon Roses. I have also included a photo of one of the pages from our January Collection kit. The Kit will have all materials needed to create 2 singles and 3 double layouts. You will just need double side tape, foam tape and an ink pad. It will be for sale on our website by the 10th of January. If you are an interstate shopper and would like some ribbons with the 75% off, then please ring me on 0416053688. You can give me an idea of what you would like and I can choose them for you. You can then pay with your credit card over the phone + postage and I will send them to you. Please share this with everyone you know, we want our 2 day sale to be a supper success. I do have a lot of beautiful product needing to find new homes. see you on Friday 5th or Saturday 6th of January. this weekend Friday 8th, Saturday 9th and Monday the 11th. We have three full on days of wonderful classes with three of our teachers. Cost of Class $16 and Kit $25. 10am-1pm. 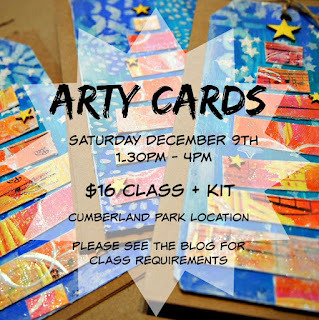 Join Jane for another one of her Graphic 45 Project life classes. She has chosen to use papers from Penny's paper doll family. This collection has papers for both male and female. So the layout will be perfect for family photos. Cost of Class $16 and Kit $22. 1.30pm-4pm. This is still one of Jane's favourite forms of scrapbooking. Join her for another set of her patchwork pieces. Cost of Class $16 and Kit $15-18. 7pm-9.30pm. Join us and use our Work Room time 10am-4pm - $2.50 per hour. You can bring your own project or buy a kit from us. Late Night Scrap—6pm-10pm. Cost of Class $16 includes light supper. 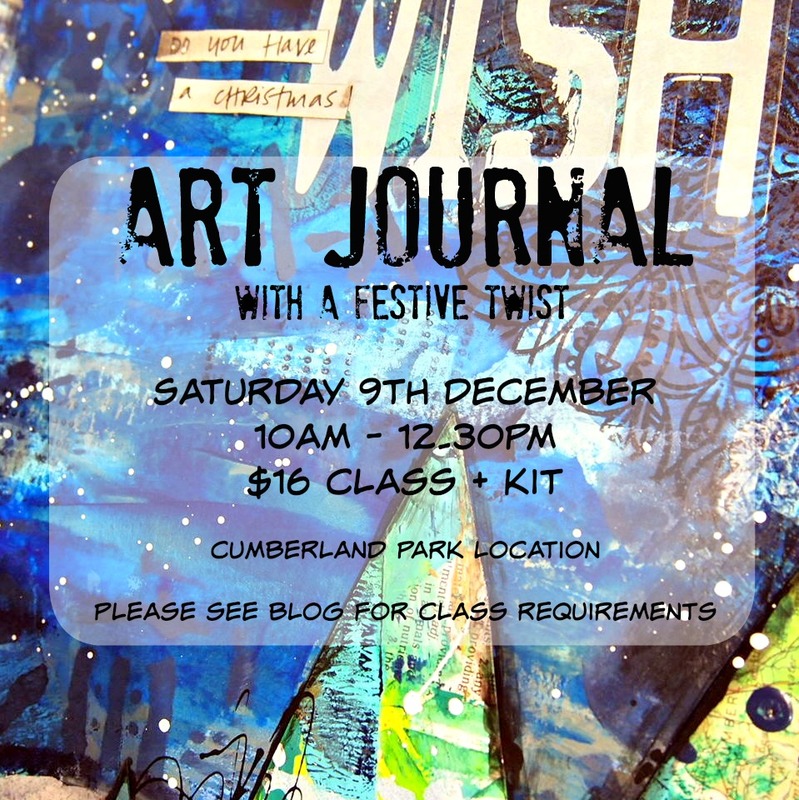 Nat has another one of her amazing journal classes Saturday morning. She really is an expert at this form of arty scrapbooking. Join her and bring your own journal or do the class as a 12x12 layout. Cost of Class $16 + Kit 10am-12.30pm. Wanting to take your card making to the next level. Join Nat for an afternoon of creating. Cost of Class $16 + Kit 1.30pm-4pm. 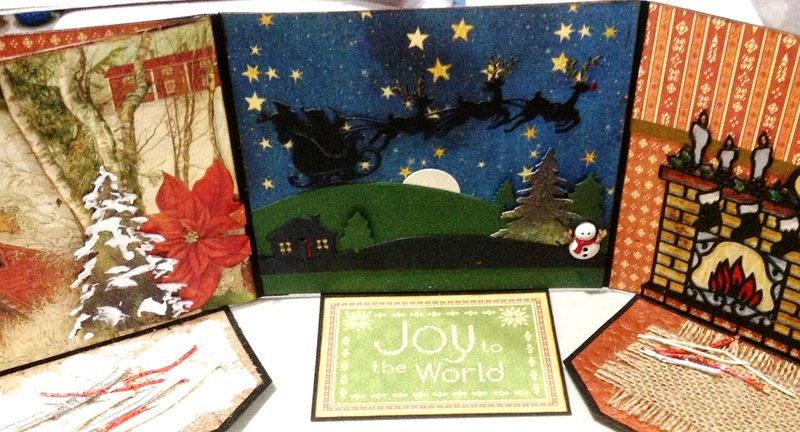 Kathy has another special card class for this month. Please bring your basic kit. Cost of Class $16 + any materials supplied 1pm-4pm. Need to finish a Janes's project just want some help with your own. Join Jane for the whole day or part of the day. Time 10am-4pm Cost of the full Day $16. As you can see we have three full days of classes with something for everyone. Please join us, as we still have room in most of our classes. Just ring me on 82771298 to book in. PS I will be bring our pop up shop this weekend but if there is something you particularly need then please ring me and I will pack it. 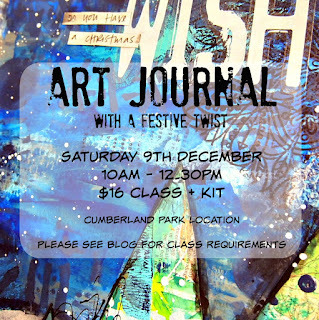 Join Natalie in creating a Festive Art Journal Page! 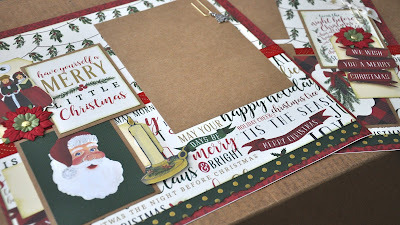 This class can also be created on a 12x12 sheet and turned into a scrapbook layout! 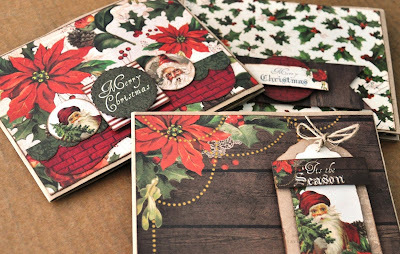 Create some fun and Arty Christmas Cards!